These are used to create a check on the debtor's account. You add the MICR through your software. We carry these in stock. 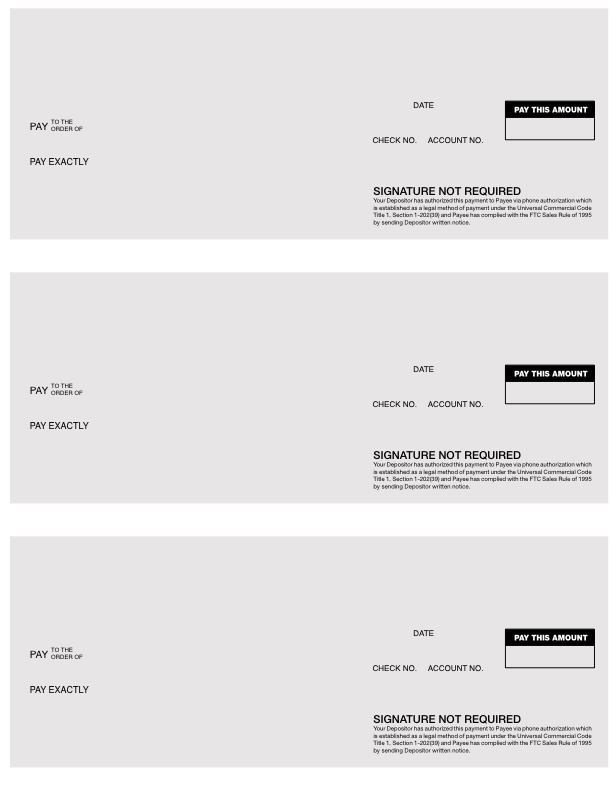 They are printed in blue ink on white security paper and are designed as 3 checks per 8 1/2 x 11 sheet. Each check is 8-1/2" x 3-2/3".